Why is Agility Important for An Athlete? Sports like football, tennis and basket ball require the player to run as well as change their directions swiftly as per the need. Agility helps in activities that require you to quickly change direction and keeping balance, speed, and strength and body control. Sports that involve use of rackets like squash, badminton and tennis need agility. Martial arts like karate, judo, kickboxing, taekwondo, and aikido require agility. Also, games like volley ball and hockey require high level of agility. Agility is much more than an athlete’s ability to change directions. It is also by the fluidity of the movement. In order to develop agility in a person, all these factors must be taken into consideration. With practice anyone can become agile and for practice, Garg Sports International has world class agility training equipment. 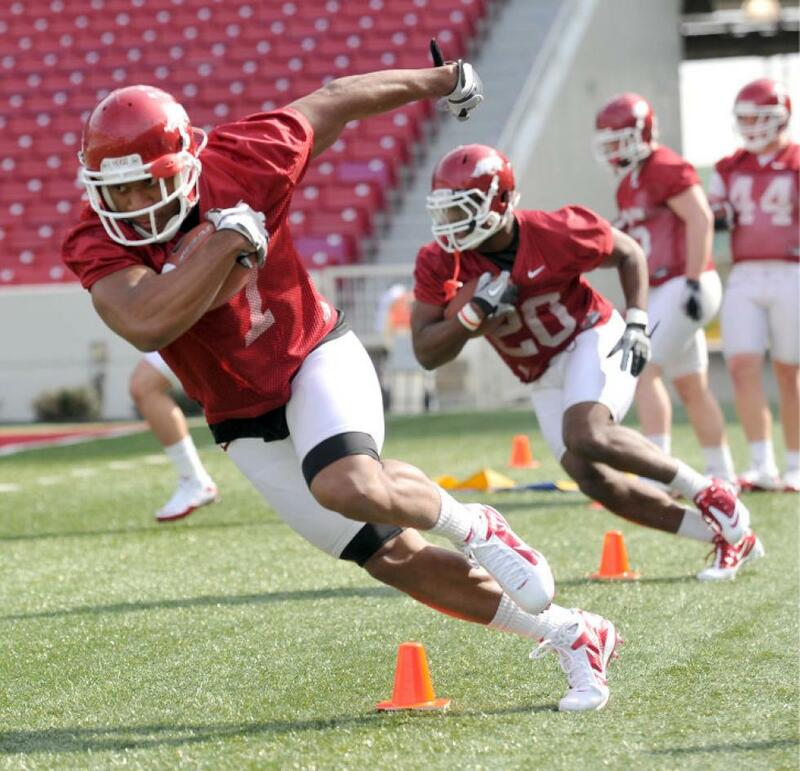 Speed and power are crucial for agility, but what makes a difference is the ability to turn. When is able to master the ways of turning, he or she can be pretty agile. While training for agility, you need to keep the following things in mind. 1. Balance as well as core strength play important role in agility. 2. Arms: use of legs and arms are crucial. Also arms and legs are controlled by to work at the same frequency. Training effective arm movement is important for speed. 3. Technique: Technique is necessary for speed. Weight transfer is also important in the sport agility training regime. You can practice to run around the cones and stop every now and then. When you stop, try to stop in two steps and hold your balance for ten second at least. You also do get-up exercises and sprint from different directions. Speed training must be done systematically. The goal to become a faster sportsperson is important for any sportsperson. 1. Active warm-up is an absolute must before any speed training exercise. 2. Focus on speed training when your body is non-fatigued. Always plan the speed training before other exercises and you can do this on a rest day as well. 3. For kids, speed training should be fun and the exercises must be a part of the games they usually play. Relay games are great for speed training. In fact any game with quick turns and bursts is best for speed training for kids. 4. Try not to go for distance running as it compromises on speed and our focus is on explosiveness. 5. Try to reach the optimum speed level which varies from person to person. 6. Perform resistance training in order to develop strength and improve acceleration. 7. Try to do yoga and keep your mind in a calm state. 8. You can also do meditation in order motivate and concentrate on becoming a better athlete. 9. Always use correct methods to perform any task related to speed. Remember to stress on correct mechanics. 10. The drill always should have a purpose. Do not do a drill just for the sake of doing. You should know the use of a particular drill and how it is going to help you. 11. Also focus on maximal strength via exercises like squatting and other exercises. You can check the different speed and agility training equipment available at Garg Sports International. 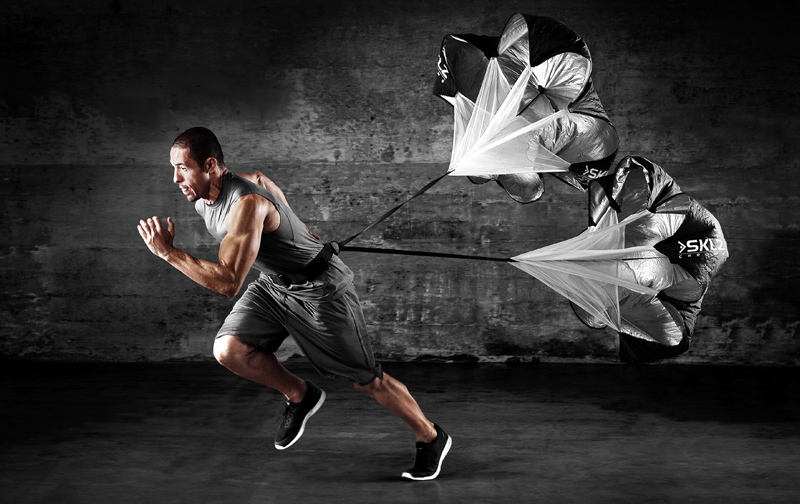 Equipment like speed chute, power speed jumper, resistance tube jumper, shoulder resistance harness, power speed sled, marker cones, wind slit cones, weighted base cones, marker cones with holes, flexible training cones and more. Visit Garg Sport International, here. Soccer unites people. People forget about everything and unite and celebrate the spirit of football. Folks across the globe are getting ready for the 2014 FIFA World Cup as Brazil and Croatia battle it out on Thursday, June 12, 2014. Now, check out this video, courtesy: McDonald’s GOL! FIFA World Cup Brasil 2014. In the video, five common folks showcase how talented they are with the football. However, there is more, it also shows how passionate these guys are about the sport and can play the game anytime and anywhere. The video shows a kid shooting the ball like a boss and he is playing on the escalator. While, an old man showcases his skills as young men and women watch him play in awe. Clearly, sports see no age. It does not discriminate. Anyone can play football and that is what the spirit of FIFA is. At Garg Sports International, the team is soaked in the same spirit of soccer and sports. We come together to make the finest sports equipments and goods for our clients. Our craftsmen are passionate about crafting the best products. We, at GSI, manufacture soccer goal post (fixed), soccer goal post (movable), futsal goal post, mini soccer goal post (movable), PVC football post pro, PVC football post club. We also manufacture PU soccer ball or football, two types of synthetic soccer ball and PVC soccer ball or football. Apart from the equipment, we are also into sports clothing and make comfortable soccer bibs, striped mesh training bibs, cricket t-shirt, adult mesh training bibs, football kit and more. You can check sports clothing collection, here. If you are a part of a business house or a company, we also make promotional apparels like arm bands, key rings, promotional shirts. Come and have a look at the collection, here. Agility is the ability to change directions and at the same time gain speed without losing balance. It is related to balance, coordination and speed. Children develop speed at an early age while playing with their friends. 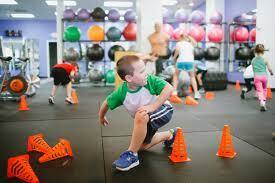 The kids should be introduced to speed and agility training in age-appropriate stages. Children between the ages of 5 and 8 should be made aware of the different speed agility exercises. They can be pretty simple so that they are able to do the same. The exercises can include the movement patterns of arms and legs. Equipments like cones can be used in the form of maze and they can also move in the pattern of eight. In kids, speed and agility training can enhance their ability to participate in sports as participation in sports helps in the overall well being of a person. Also it helps promoting self worth and interaction in a team. Kids love to play football, and this is one sport that uses a lot of speed and agility. Playing football helps improving endurance, flexibility, speed coordination and agility. Also these exercises or any other for that matter encourage kids to develop their social skills as they interact with other kids. The kids will have fun while they are made to do simple exercises. When they are consistent automatically their skills improve in the speed and agility department. One should not force kids to improve or even think about it, they should have fun while doing the training and gradually they will understand the importance of improving. Every child is different hence it is important for the coach or parent to understand that they have to be a motivator. Encourage them that they also have the ability to be as good as their friends. You can check out the speed and agility training equipment that will suit the kids, here. Agility for athletes is crucial. It helps the athlete catch a touchdown pass or kick an important shot. It is the ability of a player to swiftly accelerate, decelerate, stop and change directions. Using Garg Sports International’s high quality agility equipments you can practice drills to improve your performance on the field. X Drill: For this activity, you need four cones. The cones must set in a square formation with each side of the square being 15 feet. Start at the upper left cone and run diagonally across to the lower right cone. After reaching here, you have to shuffle laterally to the lower left cone and then swiftly run diagonally to the upper right cone. You have to finish this pattern by going back to the first cone. This exercise helps in improving the ability to swiftly change directions. Shark Skills Drill: In order to practice this exercise,you have to make a tape grip on the floor. The grid has to be 3 X 3 feet with nine equal squares. The person performing has to stand in the centre square. All the surrounding squares must be numbered 1 to 8. Stand on one foot and jump to the first box and then come back to the centre box. You have to do this on all the numbers. You can also ask your friend to call out random numbers and you jump accordingly. Lower Body Ladder Shuffle: Put both the first feet in the first square of the ladder. Now, step and put your right foot on the next square. As soon as your right foot touches the ground, get your left foot in the same square. Continue this pattern until you reach the end of the ladder and then change directions. You can visit our website and check out the agility equipments, here.